When the debate around plain packaging was raging in 2012/13, there was one thing that was conspicuous in its absence; that being that there was no evidence whatsoever that it would work. You may remember anti-smoking tax spongers telling us that they'd found out kids don't like ugly things, which is true but has nothing to do with whether they'll take up smoking or not at some point. 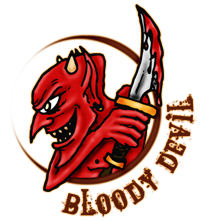 They also said that smokers had said an ugly packet might make them ring a quitline, but not whether they would actually quit smoking. The test case was always going to be Australia and - as I mentioned just the other day - it's been shown not to be working there just as it appears now not to be having any effect on smokers or retail sales in this country either. Sadly for the anti-smoking cult, it just got worse Down Under. You see, new figures for Australia came out yesterday and, instead of trumpeting the huge success of plain packaging on World No Tobacco Day, the Aussie establishment chose to release them quietly without fanfare. Hardly surprising considering the figures merely signal yet more disappointing failure. 12.2% of people aged 14 or over were daily smokers in 2016. While smoking rates have been on a long-term downward trend, for the first time in over two decades, the daily smoking rate did not significantly decline over the most recent 3 year period (2013 to 2016). Oh dear. 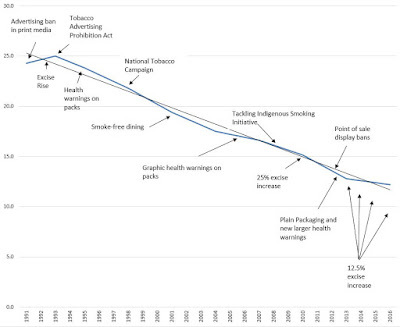 This graph from Sinclair Davidson of RMIT University makes it pretty clear that not only has plain packaging made no difference, if anything the decline in smoking has slowed since its implementation in December 2012 even in conjunction with three huge tax rises to try to chivvy it along. Yet still you will hear tobacco controllers clucking away that plain packs has been a runaway success in Australia, despite there being not a shred of credible evidence in its favour. 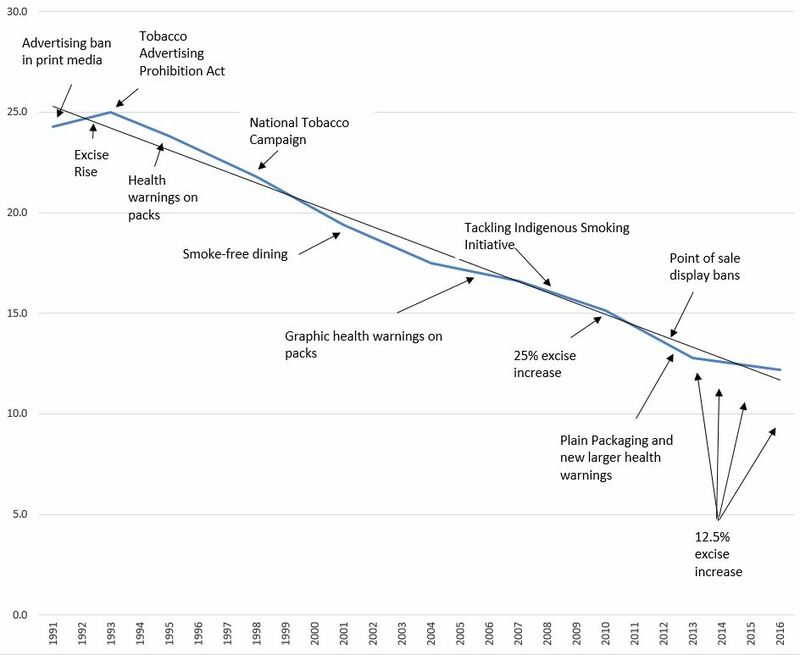 It is increasingly the case that if you hear anyone saying "oh but plain packaging worked in Australia", their words can be taken as a mark of their stupidity. "This Lobby Is Impossible To Satisfy"